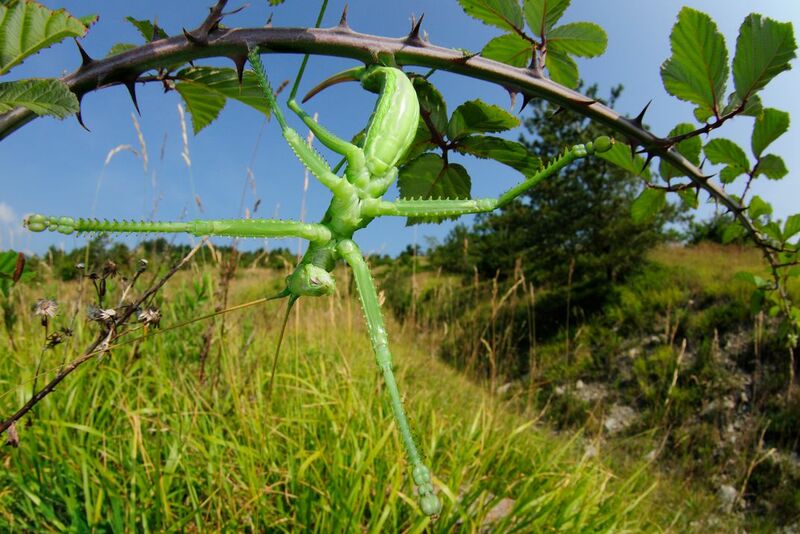 An adult female predatory bush cricket (Saga pedo) is waiting its prey in a mediterranean habitat. This is one of the biggest and rarest insects of Europe. Its conservation status is threatened (Vulnerable in the IUCN red list). Date Uploaded: Nov. 4, 2014, 5:25 a.m.